Gosta Green. 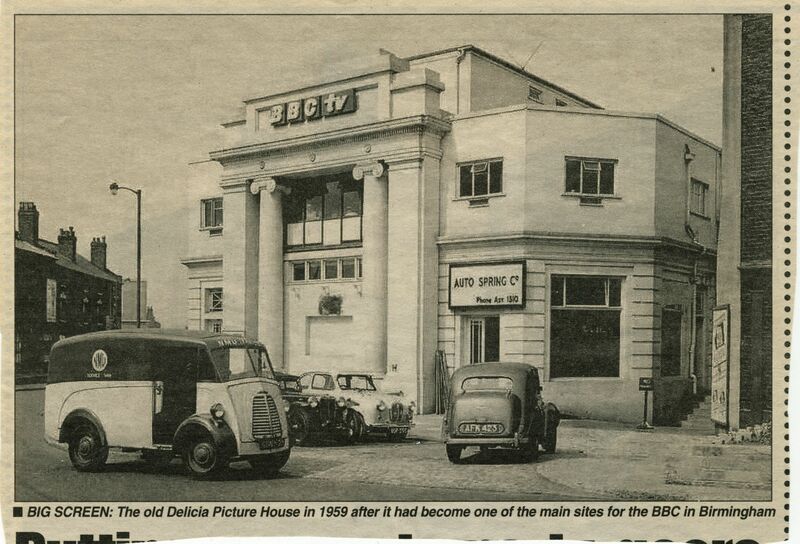 This was the main TV drama studio in Aston. It was sited just behind the original Aston University building. The impressive front facade reflected its former life as a bank. Behind it the area used for the studio floor reflected its later life as a cinema. The frontage was still there when I last looked (about 10 years ago) but the studio area had been demolished to lawns. There are pictures of Carpenter Road and Gosta Green at http://en.wikipedia.org/wiki/Pebble_Mill_Studios in ‘Early History’ section. There were other addresses such as in George Road, Berkeley Street. The BBC in the 60’s was a very different place to work than today. There was a ‘family’ feel to the place and a vibrant social life built around the staff club.